Silent Hill 4: The Room is the fourth installment in the Silent Hill survival horror series. The game was released in Japan on June 17, 2004, North America on September 7, 2004, and Europe on September 17, 2004. 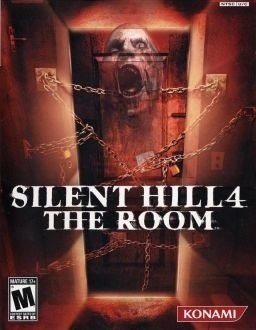 Silent Hill 4: The Room was released onto multiple platforms consisting of the PlayStation 2, Xbox and PC. It is the second Silent Hill game to be released with a subtitle, following the expanded version of Silent Hill 2. Henry Townshend is living in South Ashfield, a town that’s half a day’s drive away from Silent Hill. He is currently happy with his daily life, living in the South Ashfield Heights apartments. However, one day he finds himself mysteriously locked in his own apartment room, Room 302. Along with experiencing strange and nightmarish dreams, he cannot escape through either the windows or his front door, which has been chained shut from the inside. No one, not even people standing directly outside the door, can hear him when he pounds on the door and cries for help. The other residents notice Henry’s absence, but carry on with their everyday lives (and even with the right key, the superintendent cannot open Room 302). After five days of entrapment (Note: Henry states that he feels as if his body is frozen in time and doesn’t hunger), Henry finds a hole that has opened up in his bathroom wall. Armed with only a steel pipe that broke loose when the wall opened, he proceeds to venture into the hellish madness of Walter’s Otherworlds. The hole leads Henry to a variety of strange areas, inhabited by dangerous and sometimes immortal creatures. He is able to travel between these worlds and his apartment through mysterious holes resembling the Halo of the Sun. Every time he travels back to his apartment, Henry finds himself waking up on his own bed. In these “Otherworlds”, he witnesses the murders of people who are stuck in corresponding realms like him; the murders also occur in the real world. As Henry ventures further, he learns more about Walter Sullivan, a serial killer that terrorized Ashfield several years ago and left numbers carved into his victims; Walter was eventually arrested and committed suicide soon after. However, these new victims bear similar numbers carved into their bodies, matching Walter’s modus operandi, and subsequent events suggest that Walter has come back as a ghost. The victims are Cynthia Velasquez, Jasper Gein, Andrew DeSalvo and Richard Braintree. Walter Sullivan was born in the same Room 302 where Henry lives now. His parents abandoned him immediately after he was born and were never seen again. The superintendent Frank Sunderland handed the newborn to the medics, and so Walter found his way to the Wish House Orphanage in the woods outside of Silent Hill, where he was taught occult rituals and teachings of The Order. Walter began to believe that Room 302 itself was his “mother”. As an adult, Walter decided to “awaken” his “mother” by purifying “her” through the “21 Sacraments” ritual, which required 21 murders. Walter killed 10 people in different ways and he ended each murder by taking their hearts out. Afterwards, Walter performed the Ritual of the Holy Assumption, which allowed him to make himself the eleventh victim through suicide and still remain in his own, manifested world. The four victims that Henry encounters in his wanderings are victims 16 through 19. In Walter’s Otherworlds, Henry also meets two Walters: an immortal adult and a child, an image conjured by Walter’s reminisces. 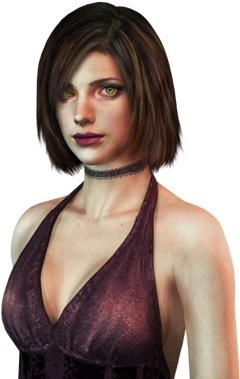 An important character in the game is Eileen Galvin, Henry’s next door neighbor in Room 303. For the first half of the game, the player is unable to interact with her and can only observe her through Room 302’s peephole and walls. By listening to Eileen, Henry learns that Eileen is passing time in her apartment just before arriving at a friend’s party. After exploring Walter’s first four Otherworlds, he arrives in the fifth Otherworld: an alternate South Ashfield Heights. Henry sees Walter Sullivan knocking on Eileen’s door. After finding the key that unlocks Eileen’s room, Henry witnesses her bleeding to death on her living room floor, having been assaulted by Walter and named the next victim. Eileen thanks Walter’s younger self for trying to protect her from his adult self and then passes out. Following Eileen’s supposed death, Henry wakes up in Room 302. After leaving the hospital, Henry and Eileen find themselves on the top of a spiral staircase, full of strange objects such as human limbs and shadowy figures. Each Otherworld is connected by the staircase and Henry and Eileen must descend it in order to “find the ultimate truth.” The Otherworlds are the same as before, except that a few paths that had been blocked before are now accessible and each victim is now a ghost that can be deadly to Henry’s health. In the first Otherworld revisited, Henry meets the victim Cynthia Velasquez, who has long, flowing black hair that covers her face. In the second Otherworld revisited, Henry meets the victim Jasper Gein, who is constantly ablaze. While exploring this world, Henry realizes that Walter Sullivan is now pursuing them. In the third Otherworld revisited, Henry meets the victim Andrew DeSalvo, who is shirtless and must be pinned down with a Sword of Obedience in order for them to continue. In the fourth Otherworld revisited, Henry meets the victim Richard Braintree, who has the ability to teleport; also in this world, Walter Sullivan kidnaps his younger, manifested self. Henry and Eileen reach the bottom of the spiral staircase and find a dark abyss with Room 302 of the past, a memory of Joseph Schreiber’s. Henry and Eileen meet Joseph Schreiber in Room 302 of the past, who appears as a statue in the ceiling. He tells them about Walter’s history and reveals that these Otherworlds are a creation of Walter’s Holy Assumption ritual. Before his voice fades away, Joseph tells them that they are the last victims, Eileen, the “mother reborn” and Henry, the “receiver of wisdom.”; they must kill Walter in order to prevent the 21 Sacraments, or else he will kill them. In Room 302, Henry is shocked and speechless when he discovers a sealed room in his apartment that contains Walter Sullivan’s corpse. After using the keys found in Walter’s coat pocket, Henry unlocks his chained front door and is bewildered that South Ashfield Heights has also been transformed into a nightmare. Eileen then appears in the corridor and they reunite. In the apartment Otherworld, Henry unlocks Frank Sunderland’s apartment room; inside, he discovers Walter’s umbilical cord that Sunderland had kept in a box for decades. Henry suddenly sees flashes of Walter’s memory in his mind and falls to the floor with a massive headache; Eileen tries to comfort him, but she leaves to find Walter’s child self on her own, and they separate. Henry returns to Room 302 and discovers that Walter’s corpse has disappeared. Underneath where Walter’s corpse was is now a round, black abyss. Henry enters the abyss and comes across a large room with a spiked, spinning mechanism in the center with a pool of blood surrounding it. There are also eight spears and a giant monster resembling a torso in the room. Walter Sullivan confronts Henry and Henry realizes that Eileen is possessed and is about to walk into the large mechanism, unconsciously killing herself. The final fight of the game takes place; Henry uses Walter’s umbilical cord on the monster, allowing him to spear it, and after all of the spears are used, Walter becomes mortal and Henry defeats him. The game has a total of four possible endings. There are two factors that determine the ending, if Henry saves Eileen in time (if Eileen was injured too much during the game, it may be impossible to save her; however, you can place Holy Candles to slow her down) and if Henry cleared most of the hauntings throughout the game. In this game, however, there is no UFO Ending. Escape. After Walter falls to the floor, he lifts his arm up, calling out “Mom” before he goes motionless. The room starts to shake. Eileen, still alive and no longer possessed, slumps to the ground. Henry calls her name and reaches out to her, then the screen fades to young Walter knocking on Room 302’s door in Walter’s apartment world, calling out to his Mother to let him in. He then falls to his knees and to the floor, fading away. After he disappears, the door leading to Henry’s apartment opens. Next, Henry is walking away from South Ashfield Heights. He looks back and then continues on, saying Eileen’s name. One day later, Henry visits Eileen in a normal hospital. Henry smiles and gives Eileen a bouquet of flowers, alluding that their relationship has strengthened over their previous recognition of one another. Eileen says to him, “Guess I’ll have to find a new place to live, huh?” This ending is considered the best. To obtain it, the player must keep Eileen from getting hurt and clear 80% of Henry’s apartment of hauntings. Mother. This scene is the exact same as the Escape, except when Henry visits Eileen in the hospital, she tells him “Well, I guess I can go back to South Ashfield Heights now.” We then see Henry’s apartment as it was at the beginning of the game, covered in blood and rust, implying that the spirits still haunt Room 302 and that Eileen may still be possessed. To obtain it, the player must keep Eileen from getting hurt, but not clear 80% of Henry’s apartment of hauntings. Eileen’s Death. After Walter falls to the floor he lifts his arm up, calling out “Mom” before he goes motionless. The room starts to shake. The screen fades to young Walter knocking on Room 302’s door in Walter’s apartment world, calling out to his Mother to let him in. He then falls to his knees and to the floor, fading away. After he disappears, the door leading to Henry’s apartment opens. We see Henry sitting up in his bed once more, then a shot of him in first person point of view in the living room hearing on his radio, to his despair, that Eileen has died of her wounds. After Henry finds out about Eileen’s death, he falls to his knees and says her name. To obtain it, the player does not have to keep Eileen from harm, but they do have to clear 80% of Henry’s apartment of hauntings. 21 Sacraments. After Walter falls to the floor he lifts his arm up, calling out “Mom” before he goes motionless. Henry stares down at him, and then suddenly falls to his knees, holding his head in pain. He then stands up, as if possessed by Walter due to his reactions. We see young Walter in Room 302 as it was at the beginning of the game, with blood and rust. He cuddles up to the couch saying, “I’m home, I won’t let anyone get in the way… I’m gonna stay with you forever…” The radio turns on with a news bulletin announcing the deaths of Eileen, Henry, and others while the adult Walter is motionless against a wall. This ending is considered the worst, but ironically is considered the most interesting by critics. To obtain it, the player does not have to keep Eileen from harm, nor do they have to clear 80% of Henry’s apartment of hauntings. Walter Sullivan is born in Room 302 and his parents flee South Ashfield Heights. Frank Sunderland discovers baby Walter and sends him to St. Jerome’s Hospital. Walter becomes a ward of the state, is adopted by Wish House Orphanage and becomes involved with the Order. Dahlia Gillespie tells 6 year old Walter that Room 302 is his mother. Walter begins to travel to Ashfield by bus/train and visits South Ashfield Heights regularly. Walter encounters Richard Braintree in the apartment building and is frightened by him. 8 year old Walter learns of Cynthia’s name, who was about 3, somewhere in Ashfield. In Ashfield, Walter injures a kitten in Steve Garland’s pet store. 16-year-old Walter receives Shabby Doll from 5-year-old Eileen Galvin on a trip to Ashfield. 13-year-old Cynthia confronts and ridicules 18-year-old Walter in South Ashfield Station. A middle aged man dressed in black (perhaps Walter’s biological father) leaves William Gregory a broken watch. Walter leaves Wish House Orphanage. Walter moves to Pleasant River. At 24, Walter Sullivan murders 10 people in 10 days and removes each of their hearts. The 10 Hearts are Jimmy Stone, Bobby Randolph, Sein Martin, Steve Garland, Rick Albert, George Rosten, Billy Locane, Miriam Locane, William Gregory and Eric Walsh. This becomes known as the Walter Sullivan Case. Police arrest Walter Sullivan, who commits suicide in prison with a spoon, by severing his neck’s carotid artery. South Ashfield Heights tenants (including Frank Sunderland and Richard Braintree) notice Walter Sullivan in the apartment building with a heavy tool, white oil, a bowl and a bag with blood. Walter Sullivan performs the ritual of the Holy Assumption by crucifying himself in the back of Room 302, and in doing so, he creates his own Otherworld and becomes Victim 11 “Assumption”. 3 years after the Walter Sullivan Case (10 Hearts), police discover Victim 12 “Void” (Peter Walls) and suspect the murderer to be a Sullivan copycat. Frank Sunderland remarks in his diary that Walter Sullivan was born 30 years ago. Joseph Schreiber begins researching Walter Sullivan. Police discover Victim 13 “Darkness” (Sharon Blake). Police discover Victim 14 “Gloom” (Toby Archbolt). Joseph Schreiber disappears, becomes Victim 15 “Despair”. Henry Townshend moves into Room 302. Henry Townshend becomes trapped in Room 302. Walter Sullivan claims Victim 16, 17, 18 and 19 (Cynthia “Temptation”, Jasper “Source”, Andrew “Watchfulness” and Richard “Chaos” respectively). Victim 20 and 21 become involved with Walter Sullivan and are trapped in his Otherworld (Eileen Galvin “The Mother Reborn” and Henry Townshend “Receiver of Wisdom”). Depending on the ending, Walter Sullivan either completes the 21 Sacraments or Henry and Eileen prevent the 21 Sacraments from being fulfilled. Silent Hill 4: The Room is the first game in the series to feature a first-person perspective. The player is based on Henry Townshend’s apartment, from which the player navigates through a first-person perspective and can access their only save point and reach the other levels of the game through mysterious holes formed in the walls. For the first half of the game, the room will also heal the player. The second half of the game has the room become possessed by various hauntings which drain Henry’s health. In the main levels of the game, the player uses the usual third person perspective of the Silent Hill series. Unlike other games, the player only has a limited item inventory which can be managed by dumping unneeded items in a chest in Henry’s room. Breakable melee weapons are also introduced in this game including a variety of Golf Clubs. One of the most significant changes is the introduction of the Ghost monsters, which are the unkillable ghosts of Walter Sullivan’s victims. The ghosts have the ability to hurt Henry with a damaging “aura” which can be nullified by Holy Candles and Saint Medallions. The same items can also exorcise the hauntings in Henry’s apartment. Ghosts can also be knocked down for a long time with one of the two Silver Bullets and pinned permanently with a Sword of Obedience. In the second half of the game, Henry is accompanied by his neighbor Eileen Galvin. Eileen cannot die while she is with Henry, although as she takes damage she succumbs to possession by Walter Sullivan. Eileen walks slower than Henry due to her injuries, and cannot climb ladders. The player can also equip Eileen with a weapon to have her join Henry in combat or to defend herself. The damage Eileen takes in the game determines whether or not she dies in the final boss fight, directly affecting the ending achieved. Further divergences from the other games include the absence of a flashlight and portable radio, a staple in the series, although Henry owns a stereo which alerts him of hauntings and uses a torch to illuminate dark wells to find the pieces of a burned doll.